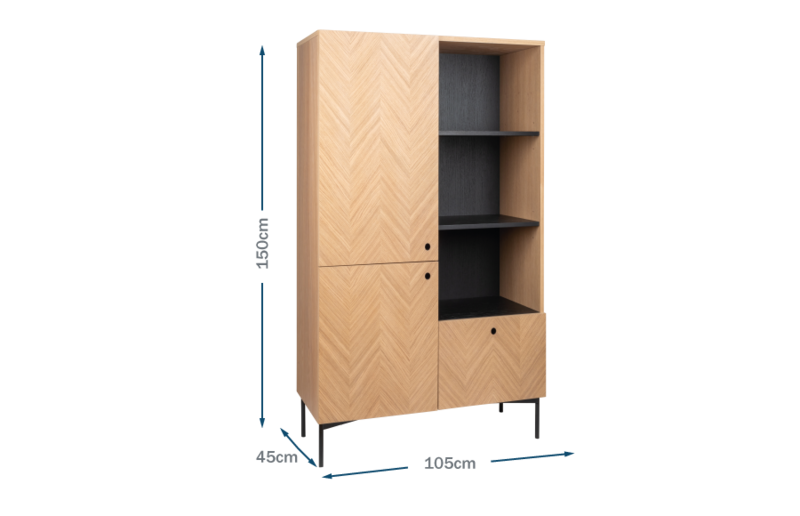 This tall storage unit features beautiful oak marquetry detailing creating a chevron pattern which is set against black accents. The storage unit features exposed shelving which is ideal for placing ornaments and photo frames. The single drawer provides additional storage. The Clifton tall storage unit will be a wonderful addition to your interior. Oak veneer carcass with metal legs in black powder-coated finish.